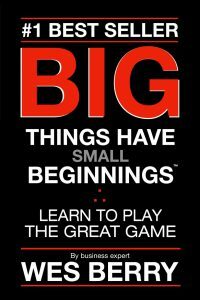 This book is NOT about failing; this book is about preventing, limiting and continually overcoming the small failures and obstacles so that you can achieve massive success because when you take care of the small details, the BIG stuff takes care of itself. FREE on 12/6/18 and 12/7/18! Wesley Berry started working at his family’s Detroit-based florist shop when he was a teenager. He quickly demonstrated a strategic style of management that propelled it from a $65K per year business to a $65 million-dollar international business operating in 130 different countries. In 2016, after 40 years in business, he sold it to “retire” and follow other passions…like writing books!